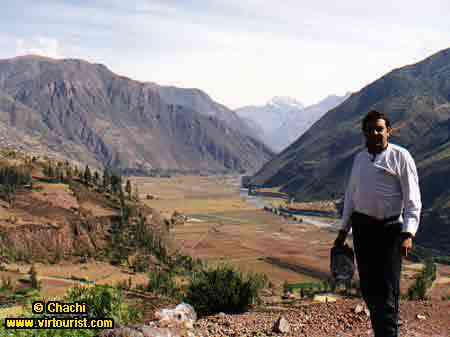 1.- Welcome to Valley of the Incas !!! Hi! I'm Chachi. I was born in Peru and I'm going to give you a tour of Cuzco, Machu Picchu and the Sacred Valley of the Incas. The river you see is the Apurimac River, which runs through this fertile valley (which was the breadbasket of the Incan empire) and eventually into the Amazon. Cuzco is to the left and the Incan mountain town of Machu Picchu is down the valley (curving to the right in the photo).